2 or more only $18.00 each! Hand designed, the blade design & case is very much the price. Bought knife for a Christmas present. Beautiful knife. Great price. People loved it. Really nice. Looks so much better in person. Really made my day. It comes sharp and very well maintained. For the price, I am more than pleased with the quality and appearance of this blade. It will never be used for cutting, but the aesthetics are amazing! I got this for my father for his birthday and he loved it. the etchings were clear, the box in perfect condition, and the handle was perfect. the only thing he didn't like was the cheap style of the hinge on the box, but that's alright. it turned out great as it was and all was good. another great order. The detail and quality of the blade was outstanding for the price. 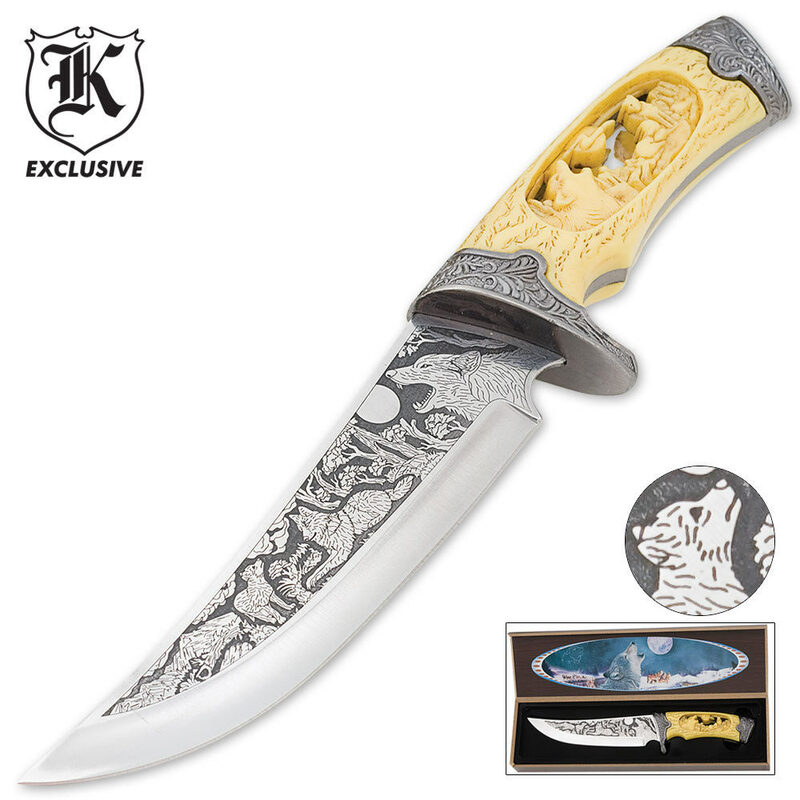 The faux ivory handle was very telling, it was very evident the blade was molded plastic. Overall I would recommend this for collectors. Very well done; strong blade, nice balance, and very good quality for the price. The plastic simulated carving in the handle is attractive, but more for show than work.